Kosherfrugal.com - Frugal Living in Israel: Deals for your Summer Fun! If you're looking for a fun day out, you can save BIG with discount vouchers and savings - the links in this post will take you to discount deals for each place listed. If you're not yet ready to buy, be sure to save this page and come back here when you're ready to buy your Groupons so you have the right deals handy! Montfort Lake FUN! Choose from ice skating tickets or combo skating and boating tickets! Kayaking at Dag Al HaDan - almost half off! Cool off at Park Galei Yam in Haifa, for 50nis per person! Swim at the Pool in Tel Shachar - one time admission for 29nis, or a 12 visit Kartisiya for 339nis! 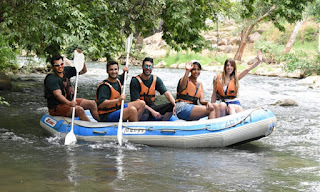 Jordan River Rafting (with an option to add the "Omega") starting at 50nis per person! Groupon is valid thru the end of the year. During August and other holidays, Groupons can only be redeemed at certain times. Read the terms carefully! Discount Tix to "Shachmatipus" Climbing Wall in Kiryat Malachi! 29nis for 1 person / 55 nis for 2. Groupon valid for 60 days from date of purchase. Visit the Technoda Park and Museum in Hadera for just 35nis per person - this deal is good thru the whole summer! Discount admission to the Biblical Museum of Natural History in Bet Shemesh! 20nis for 1 person, or 5 people for 95nis! Good thru Sept 19. Book your tour before you go! Visit the Igudan Ecology Center this summer for just 10nis per person with this deal!You must book your slot before going. Add some history to your summer at the M'Shoah LaTekuma (from Holocaust to Statehood) Museum in Yad Mordechai. With the Groupon, it costs only 10nis to get in. Check out the Dinosaur Exhibit in Namal Tel Aviv! (42% off regular price) Thru the end of August. Glass Mosaics Workshop in Rishon - learn to do something new! Do a woodworking workshop with this deal - starts at 99nis per person (for a 3 hour workshop! that's an amazing 33nis per hour). In Kiryat Bialik. For ages 15+. Studio K offers art workshops, on Sundays and Thursdays in Ramat HaSharon! Sign up for parent-child science workshops this month at Eureka Park in Netanya! Save about 25% with this deal! Learn to drive this summer with this discount driving lesson package from Or Yarok Driving School in Jerusalem! Get 14 lessons for 899nis! You'll have to pay the regular rate for the remainder of the lessons, but it's still a great savings! Tel Aviv Graffiti Tours, starting at 39nis! You must reserve your tour slot after you purchase the Groupon. Here's a deal for Laser Tag Planet in Haifa -- 209nis for a group of 4, 309nis for a group of 6, or 409nis for a group of 8. Ages 7+. Groupon valid for 60 days from date of purchase. You MUST reserve your slot in advance. Jeep Tour with Chalom Olami (in Migdal, right near the Kinneret) with a driver/guide, up to 7 people for just 399nis - save over 350nis! Paintball in Yishuv Kalanit for 60% off regular price! The teens here in the Golan love this activity! "Try to Escape" Escape Room for 40% off! In Haifa. Valid for 60 days from date of purchase. Book your time slot after you purchase the Groupon. The Jerusalem Treasure Escape Room in Ramat Gan - get the Groupon and pay just 249nis for a group of 4, or 279nis for a group of 5. Valid for 60 days from date of purchase. You must reserve your time slot after you buy the Groupon! "Ex-Room" Escape Room in Tel Aviv - Get your Groupon for 2 (118nis), 3 (175nis), 4 (215nis), 5 (259nis), or 6 (299nis). Groupon is valid for 60 days from date of purchase, and you must call to reserve your timeslot. Nearly all timeslots are available for the Groupon deal, but some time slots require 4 or more players. Quest House Escape Rooms in Tel Aviv, your choice of 5 different Rooms! 269nis for a group of 4 with the Groupon! Valid thru Sept 1, for slots between 10am and 11:55pm. You must reserve your slot after you purchase the Groupon. Laser City at Cinema City in Glilot - purchase your single or group ticket for over 40% off with this deal! Laser Tag in Jerusalem! So much fun, and you can save SO much with the Groupon! You must make reservations. Park Eretz Hatzvi, near Hod Hasharon, for just 32nis! Kidsland in Karmiel for 15nis! Babylon Kids (several locations) for 15nis per person! Play at Park Atlantis in Herzliya - 19nis for 30 tokens, or 49nis for unlimited play! Discount admission to the Igloo (Play area) in the Eilat Ice Mall. Good thru the end of the year! Virtual Reality Game - "Vortex" in Namal Yafo, for just 20nis (additional options for multiple games also available)! Groupon valid for 30 days from date of purchase, and can be used on weekdays (Sun - Thurs) from noon - 8pm. Groups of 5+ should call in advance and reserve. African Nights, at the Botanical Gardens in Jerusalem, discount tix for 45nis! The Neverland Experience at Park Hayarkon - here's a deal for Family admission! Visit Festigamal at Kfar Terabin - the best deal is 15nis for 2 children and one adult! Ein Yael for just 20nis per person. Be sure to choose your date carefully when you buy! The Monkey Park in Ya'ar Ben Shemen, for just 34nis per person. Note: children under 2 do not need a ticket, and senior citizens can get in for half-price at the gate. Groupon valid thru August 30. Here's a deal for Ice Skating in the Ice Mall in Eilat, for just 49nis, including skate rental! Ride the Indoor Roller Coaster in Eilat, for just 25nis per person! The only one of its kind in the area! Valid thru the end of the year, even during peak season! Have fun at Ein Yael in Jerusalem, on one of their "Open to the Public" Days (not every day). Starts at 20nis for one person! Park Yam Carmel (Ya'ar Ofer, near Haifa) for just 49nis per person. Valid only on Thursday nights this August. This converted bus offers a really great deal for your next Getaway! Sleeps up to 6. Starts at 399nis per night with the Groupon! Rent an RV that sleeps 6-7 people for 819nis for TWO nights (weeknights) or 919nis for 2 weekend nights! Wow, what an amazing deal for a getaway! 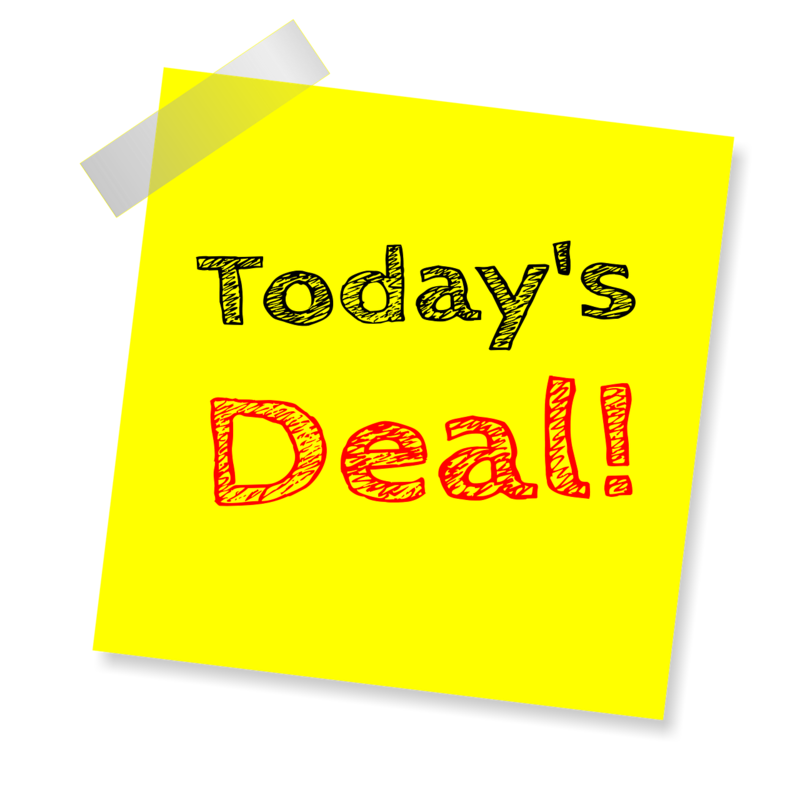 Click here for Restaurant/Take-Out Deals!